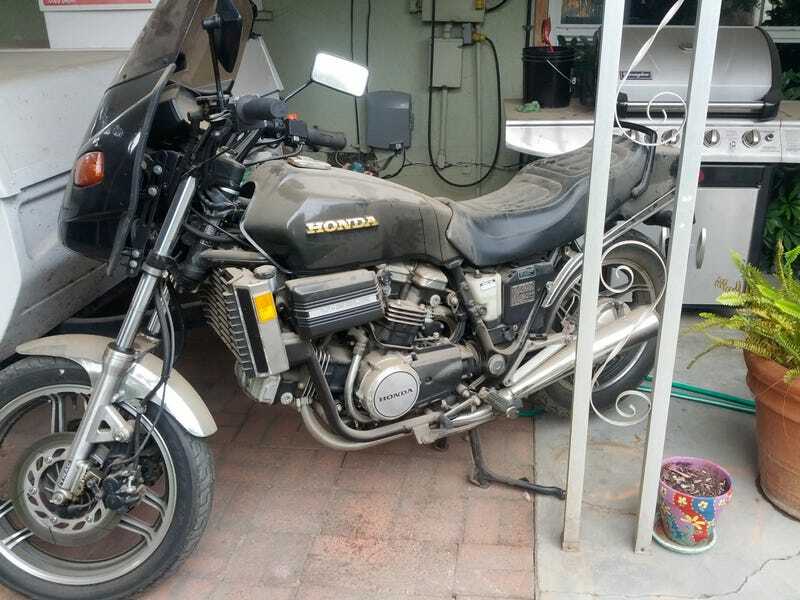 1982 Honda V45 Sabre. He was the original owner and only has 5,000 miles on it. Even has a full Rifle fairing kit. Think I'm going to learn how to ride.